Why is the Infinite Banking Concept great for College Funding? One of the biggest obstacles to staying out of debt for families is financing the cost of a college education. I’ve met with hundreds of families in the past 24 years. Paying for college is huge for the average family. Parents just want to make sure their children get through college. They are willing to make whatever financial sacrifices needed to accomplish that goal. These sacrifices often entail cutting back on saving for retirement, or stopping altogether. I emphasize they must make sure their retirement is adequately funded before going to the poor house to save for college. But I’ve come to learn that’s not happening. College for the kids comes first. Some families borrow against a 401K. Not the best idea. Funding can drain bank accounts and brokerage accounts. It may require living on an extremely tight budget for years on end. That can cause a tremendous strain on a family. And of course, families many times go into debt for years, with various loan programs, to pay for college. Do you really want your child to graduate college with massive debt? Or, do YOU want to spend your 50’s and 60’s paying for children’s education? Families save for college in various ways. There’s the Coverdale Education IRA, brokerage accounts, as well as 529 plans and custodial accounts, to name a few. They all have advantages and disadvantages. Regarding custodial accounts…you must remember that any money left in a child’s custodial account once that child reaches the age of responsibility, usually 21, belongs to the child. Actually, once you put any money in a custodial account, it belongs to the child with you as the custodian. So if the child doesn’t finish college, and turns 21, you have to let him/her have the money. That may not be the best thing, but I’ve seen it happen. And the money in a custodial account counts against the child for college loans and grants. Bottom line, all these programs have restrictions which take away flexibility. Don’t you want to spend your money for college any way you want….on your terms . AND still get tax deferral on your savings, AND even tax free withdrawals? Sure you do. The popular 529 plan seems to be the college savings program of choice, but it has some real draw backs. The money in a 529 plan counts against student eligibility for financial aid. There are tax consequences if not used for qualified expenses. The plans charge commissions, administrative fees, and investment expenses that can significantly reduce the growth of your money. Your money is at risk in the market. 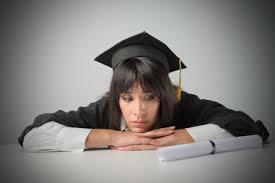 To read more about the draw backs of owning a 529 plan, go HERE to read an article from Bankrate.com. RED ALERT 2015: This just in….President Obama has proposed taxing 529 plans as part of his new round of tax increases! Read the USA report HERE. Update on Red Alert-The Present: The threat of taxing 529 plans is over under President Trump. Let me go into a little more detail on the above statements. When a student applies for aid, money in the 529 plan can reduce the student’s eligibility for aid by 5.64%. Here’s an example. Say a parent owns a 529 plan for a child, and it has an account value of $30,000. Now you must calculate 5.64% of that, which is $1,692. That amount is subtracted from any aid the student would have received for that year. You have to redo the calculation each year of college. Tax consequences: If your child never attends college or drops out, you’re stuck with that money, as is, unless you have another child to transfer it to. Any unused portion of a 529 plan loses its tax exempt status in the future. So not only will you pay taxes on the gain in the plan, and a 10% penalty when you withdraw the money. Costs, and your money at risk: The 529 plan’s value will go up and down with the market. While that may not be a bad thing at the start, the closer you get to college, the more closely you have to watch it. Many plans will manage the money for you and automatically lower your risk as your child approaches college age. But if the market is hot the two years before college begins, and your 529 plan is conservative, it will cost you earnings that could have significantly added to the account value. Of course, in 2008 they all went down regardless. That’s just the way it is. You can’t have your cake and eat it too. The more money management involved, generally the more internal costs. Which means lower returns. You have to be wise when shopping around for the plan, and don’t just buy the one your representative wants to sell you. Remember, those fees come out even when your account value is flat or has gone down. Yes, 529 plans have encouraged people to save more for college, but at the same time, they have made hundreds of millions of dollars for the securities industry. Go HERE to learn about 529 plan withdrawal traps. Folks, working with 529 plans can be complicated. Know what you’re buying. One caveat…the 529 plans are good only for schools in the US and only for “qualified expenses”. Buying your child a car doesn’t qualify. Go HERE to learn more about 529 plans. What are the advantages of using the Infinite Banking Concept to save for, and pay for college? You save and use the money without ever having to pay taxes. You never have to worry about losing money in the market…no market risk. There are no limits on how you can use the money. No limit on how much you can contribute. Withdraw the money any way you want, whenever you want. And the money in your Infinite Bank will not count against the financial eligibility of your child on the FAFSA form. You could have $200,000 in your Infinite Bank and it will not have to be reported on that FAFSA form. Pretty cool. And because it’s based on a life insurance policy, if you die prematurely, the tax free death benefit is there for college. But even beyond all that, the real value of the Infinite Banking Concept for college funding is not putting the burden of debt on your student after college. Your private family bank can provide the lending you need to cover the cost of college. You pay back your Infinite Bank on YOUR schedule. Paying back college loans to your private family bank with interest actually builds wealth in your bank. So when all the college is paid for, you’re actually more wealthy instead of being in the poor house! And you’ve increased your future retirement income during that time…income that will some day pay you tax free for life. You can even have your child pay back the loan. So instead of some other bank making the profit on your child’s college loans, you do! In the future, if you’ve educated your child on Infinite Banking, you can transfer ownership of your bank to your child. Then she/he create wealth for the future, and never have to worry about qualifying for bank loans. What a great legacy for a child. Call me or email me TODAY and let’s discuss how you can start using the Infinite Banking Concept for your child’s future.